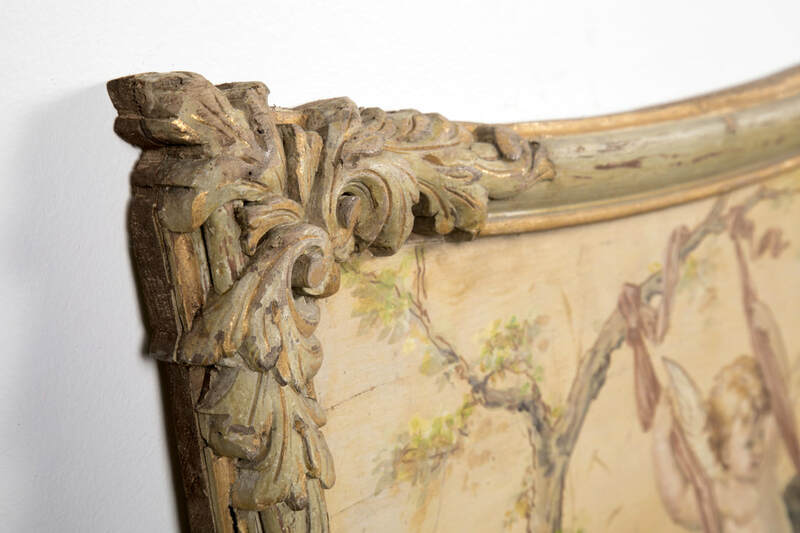 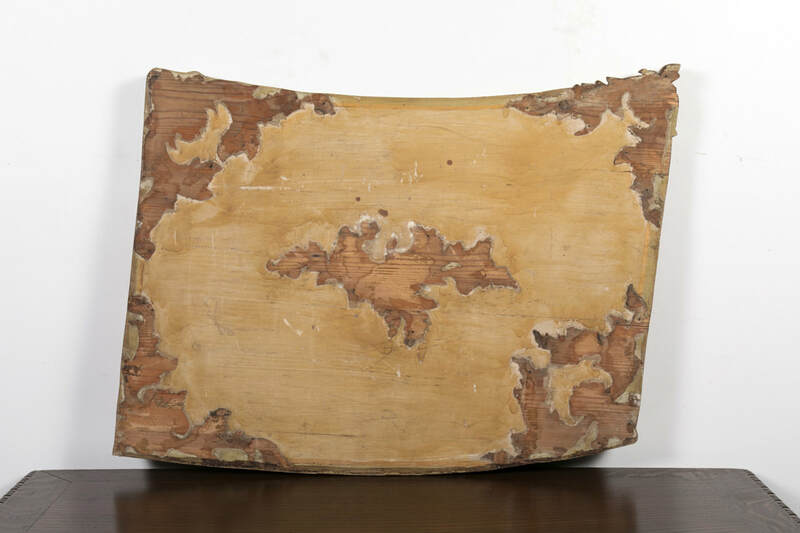 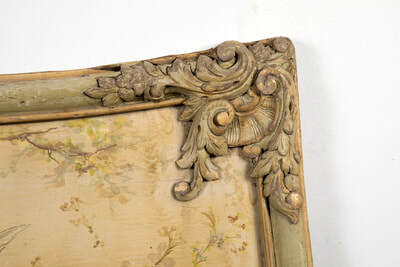 Rare and beautiful antique French carved parcel gilt and painted boiserie panel with oil painting on board, circa 1850s, once part of an entire boiserie (French wooden paneled room). 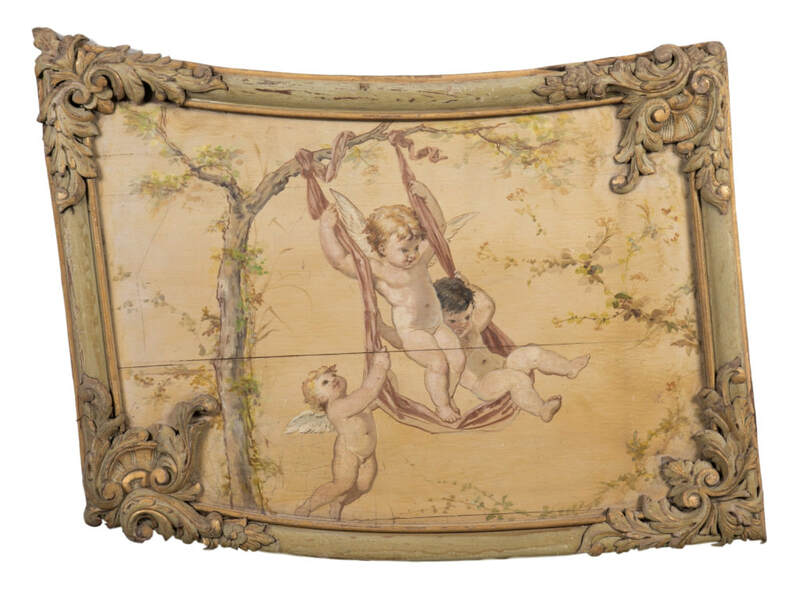 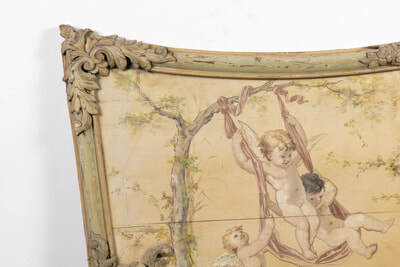 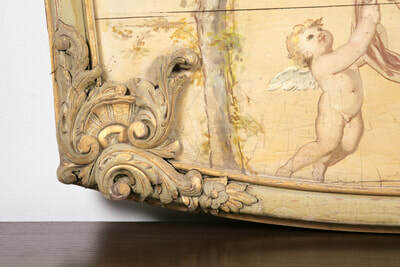 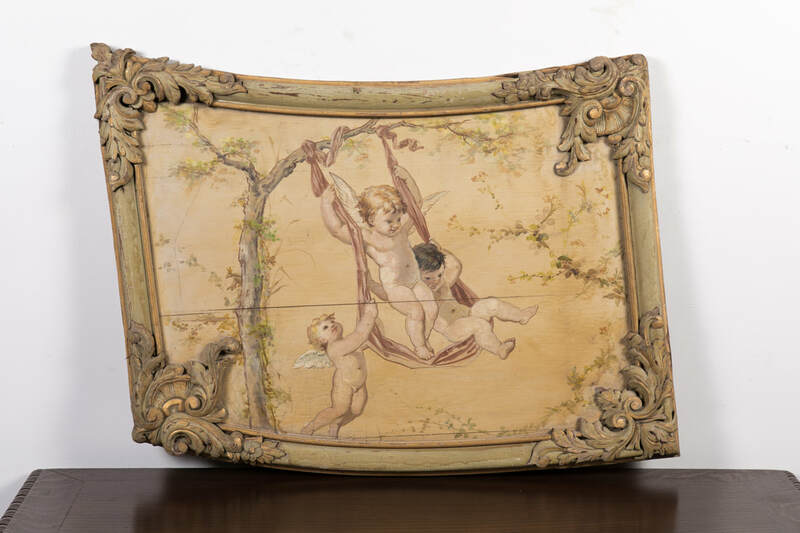 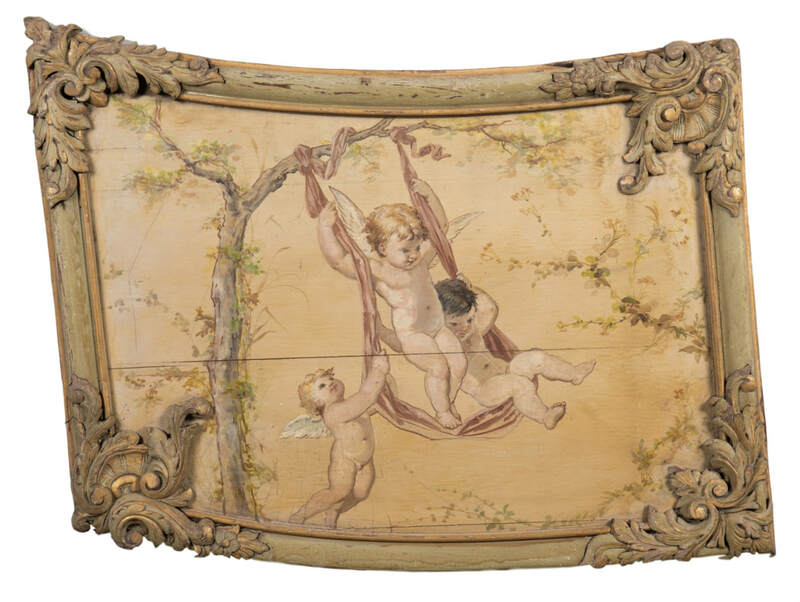 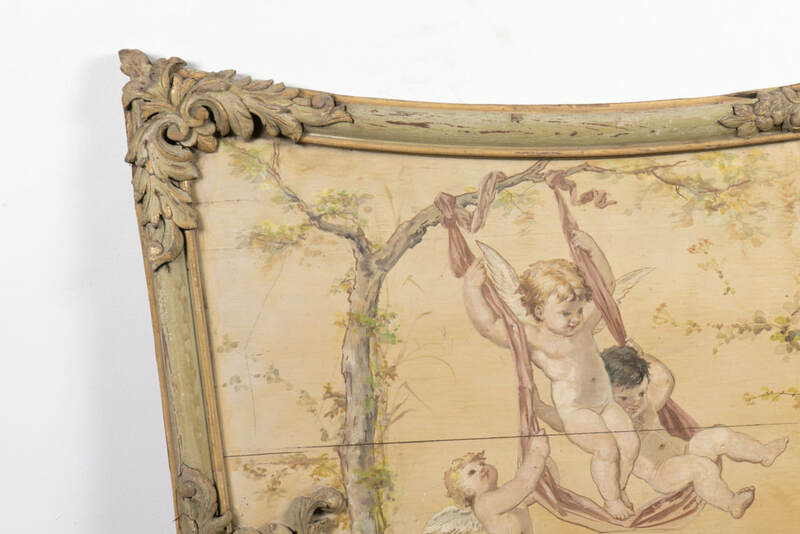 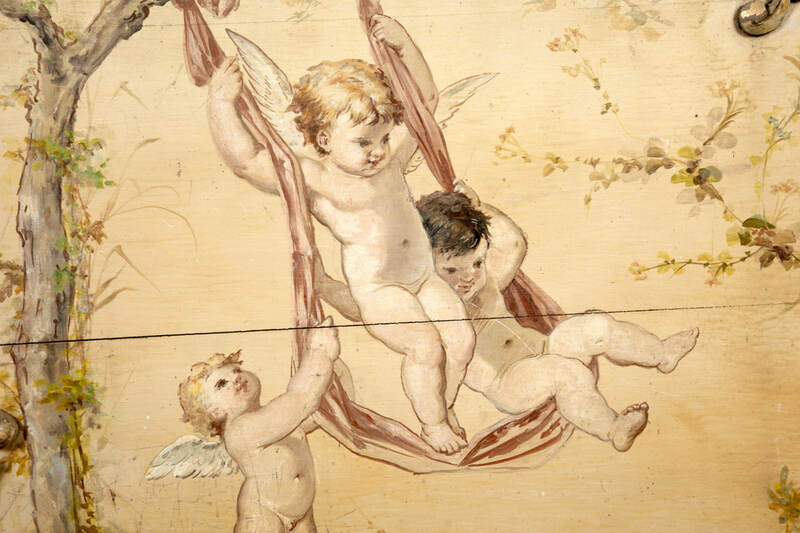 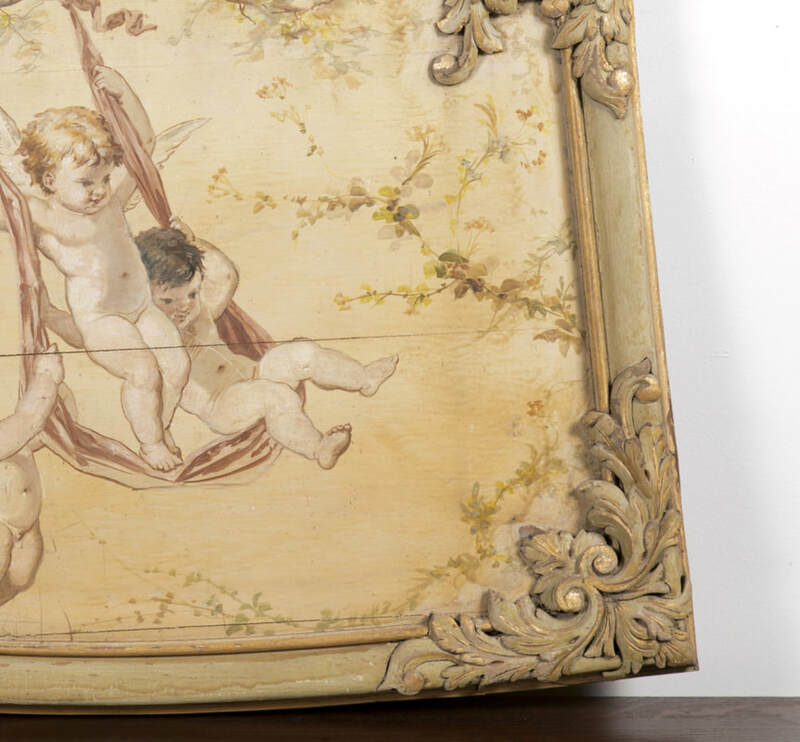 The oil painting in the center of this Louis XV style boiserie panel depicts three putti at play, swinging from a tree branch. 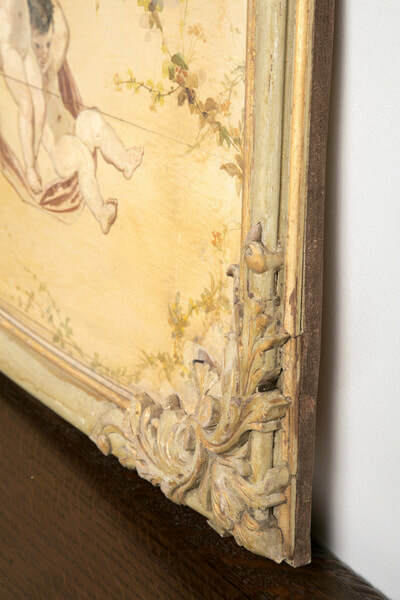 The curved ornamentation surrounding the painting has rocaille, acanthus leaves, and flowers. 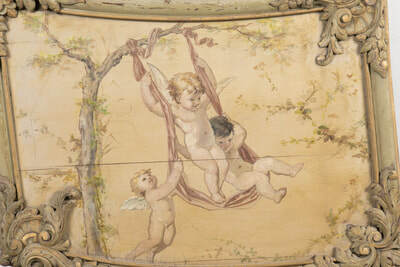 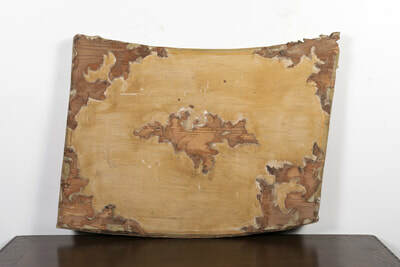 One of two panels we have for sale from the same room.